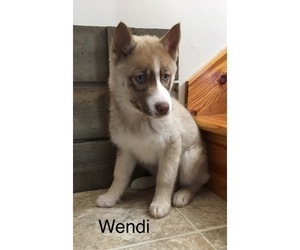 3 perfect puppies left - all with majestic and beautiful markings! 3 girls left! All black/white! Momma and Daddy on site and puppies held and played with by 5 children and other adult dogs daily. 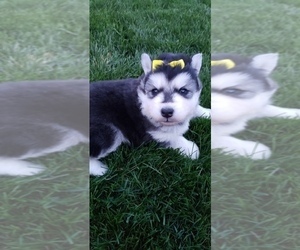 All have the 'Siberian Husky' white tipped tails and 'white socks' with perfectly placed ears on their heads that are spaced perfectly for a Husky. 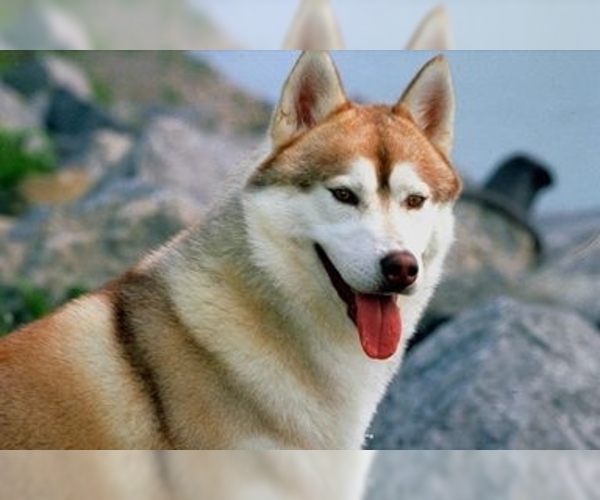 All have the Husky playful, get along with everyone temperament! Dewormed every 2 weeks and shots included against 6 illnesses. 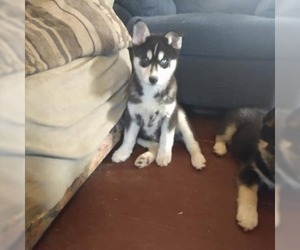 100% purebred Siberian Huskies. Black/White with deep blue eyes. On the taller range of the breed with excellent temperament. A 'talker' big-time! Loves to carry on 'conversations' with people - and am seeing this in the puppies as well. Extremely good with other dogs and all people and children. 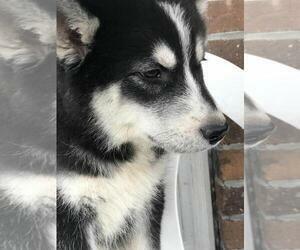 100% Siberian Husky. Show Quality. Black/White with 'raccoon' face masking with dark eyes. On the medium range of the breed with short, dense, very soft double coat. Excellent mothering instincts and great around other pets and people. 100% Siberian Husky. Show Quality.